The Crew 2 has an open-world mechanic that people who have played the first game will be all too familiar with. 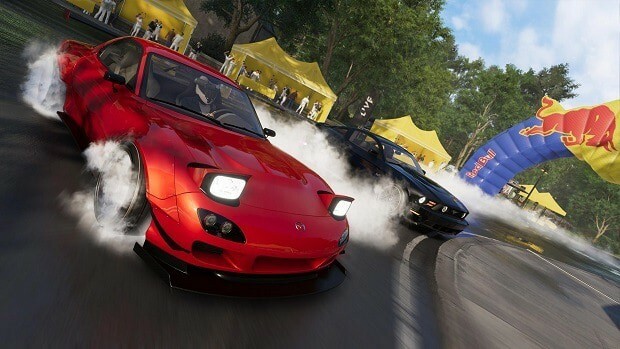 There is a fair amount of loot to collect in the game which will help you along your journey, and this The Crew 2 Loot Guide will help you along the way. The Crew 2 Loot Guide will tell you all about how to collect Loot while you are playing the game. We will tell you all of the ways that you can collect the loot so that you can progress further in the game at a faster pace. The first thing that you need to remember is that it is not that hard to find loot in The Crew 2. There is a lot of it available. Even the rarer items can be found if you just grind long enough. It is just a matter of understanding what is it that you want to get your hands on, and how you can do that in the shortest time possible. Let’s go ahead and take a look at The Crew 2 Loot and the ways that you can earn it. First of all, remember that you will get some loot whenever you complete an event or a treasure hunt. You may even receive loot whenever you complete a Skill so it is best if you try to race with ‘swag’ as much as you can. You cannot buy loot, so you need to grind for it and get it in the normal way, but this increases the satisfaction that you get from getting your hands on those high spec items. Loot Boxes appear on the ground after you complete a race, and it will reward you with parts which can be used to upgrade the vehicles that you have. In order to pick up the loot boxes, all you need to do is to drive over them and the loot will be added to your inventory automatically. Sometimes, the loot will be sent to the HQ mailbox and you can retrieve it from the command center of the aforementioned discipline. You can also earn loot boxes by finding Live Containers. These containers will appear on your radar randomly and you will be able to collect them by following the directions. These boxes are great because they will have loot relating to the current vehicle that you are driving. There are 3 different colors of parts and they are common, rare and epic. You do not need to worry too much about it as the loot will progressively get better as you upgrade your car. Rare and Epic loot will give you passive abilities which can stack and then help you with things such as getting more money or more nitrous or more live loot boxes. Essentially, the perks will contribute to you being faster and earn more loot. That is all we have for our The Crew 2 Loot Guide. Let us know if we missed something using the comments section below!